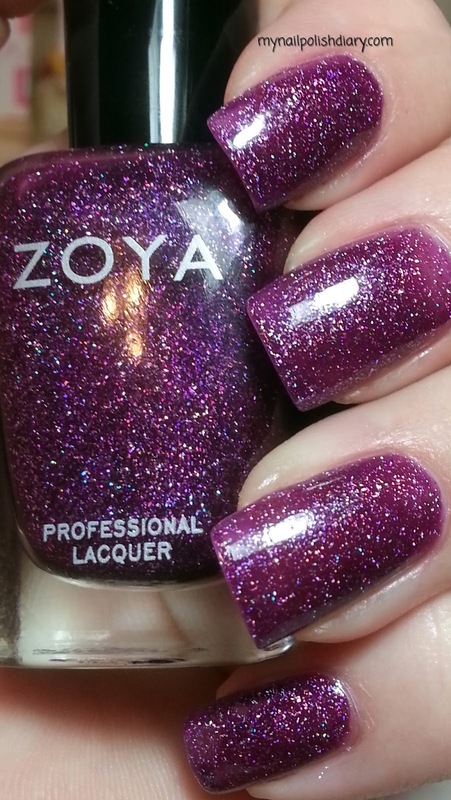 Zoya Aurora is from the Ornamental Collection from their holiday 2012 release. It's a purple jelly base with scattered holographic glitter but is still super smooth! I got really good wear time and this applied like butter. Love Zoya. Amazing! This lands in my top 5 Zoya favorites of all time. This looks so gorgeous on you , Tami!